The Vault is Slate’s brand-new history blog. Like us on Facebook, and follow us on Twitter @slatevault. Find out more about what this space is all about here. 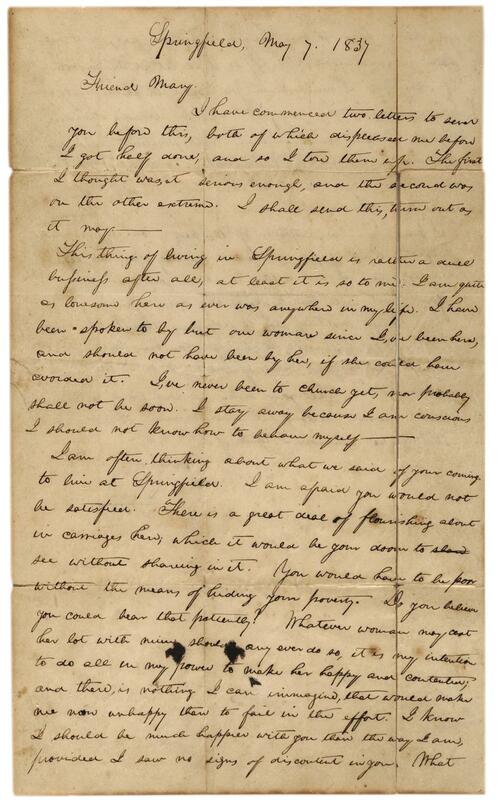 When he was a young and impoverished lawyer in Springfield, Ill., Abraham Lincoln had an awkward romantic entanglement with a wealthier Kentuckian named Mary Owens. Mary’s sister, Elizabeth Abell, had been trying for years to make a match between the two (who had never met). 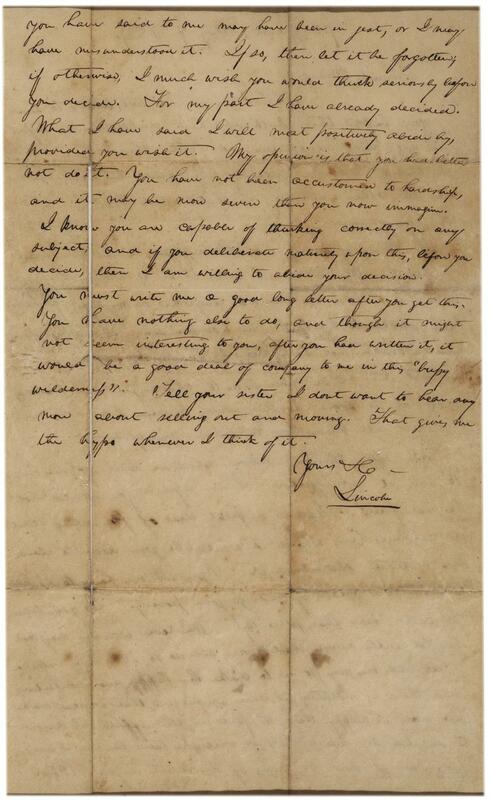 In 1836, Lincoln told Abell—half in jest—that if Owens wanted to move to Illinois, he would marry her. This was a rash promise that, after spending more time with Owens, he began to regret. When he finally did propose to her, reluctantly, she unexpectedly rejected his suit. Thanks to Sandra Trenholm of the Gilder Lehrman Institute of American History. Follor the Gilder Lehrman Institute on Facebook or Twitter.